How Far Can I Shoot With A Compound Bow? If you are using a competition compound bow, you can send the arrow to over 100 yards ahead. But it is nothing if it misses the target. So what you need to know is the longest range that you can have a good amount of fatal shots. It is the bow’s effective range. What is the bow’s effective range? What are the common values for the effective range? How to improve our bow’s effective range? Should you fire the compound bow from a long distance? The effective range is the distance where you can regularly hit the dead zone of the animals. It is also the distance that most of your arrows go exactly the spot you aim for. High-quality bows have longer effective range than the low-performance ones. Although the weapon is not the only factor deciding the effective range, it still plays an important role. There are two specifications affecting the effective range: arrow’s speed and kinetic energy. The arrow’s speed defines how fast it will travel. It becomes more useful when the arrow is fired from longer range. The quick delivery helps the arrow’s flight steady and not to lose much energy. Kinetic energy is the power that helps the arrow flies and penetrates through the animal’s skin. It is affected by gravity force and turns to be weaker when traveling farther. 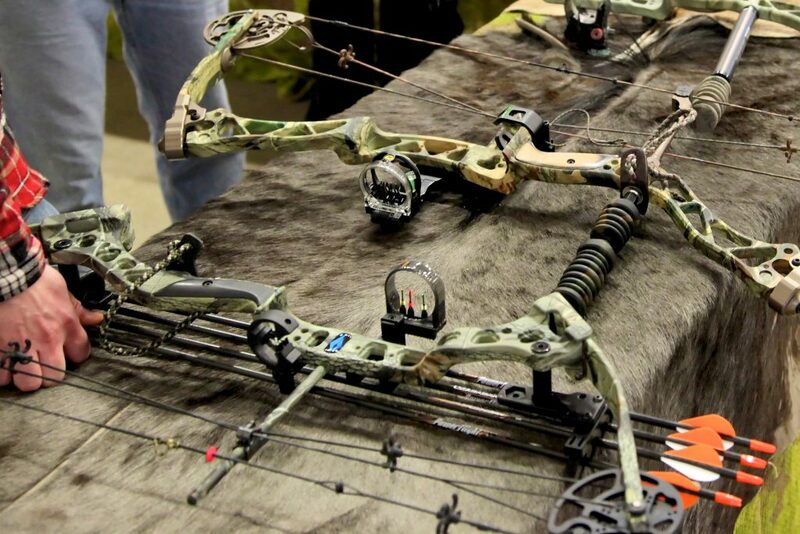 Technical improvements in quality compound bows offer high values in these specifications. So, you can extend your effective range by using a better bow. Everyone comes to the world of hunting must know that 30 yards are the best range for shooting. Within this distance, the arrow almost never misses the spot which you aim for. This is close enough to kill a whitetail immediately with a fatal shot. The limit of just 30 yards away can’t satisfy some ambitious hunter. They step farther to reach the 60 yards range. 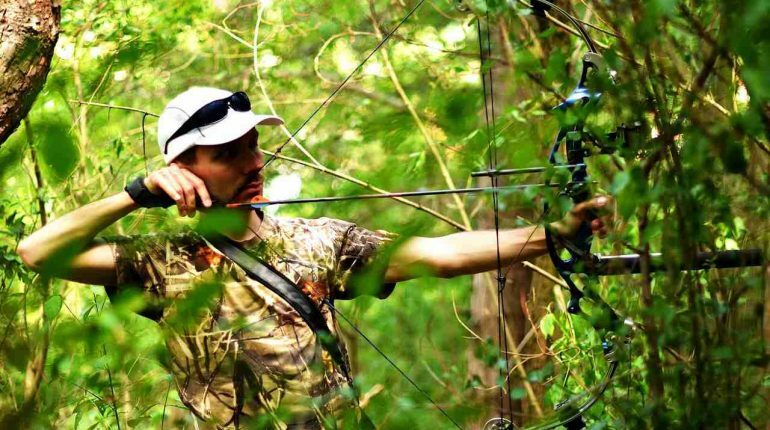 With the help of modern compound bow, they finish the job well from this remote position. And the good results make 60 yards the ideal range for long shots. Some of the best hunter in the worlds even kill the target within 100 yards. But they are exceptional. For a normal archer, 60 yards away from the animal is more reasonable. It’s good when people want to achieve more, but somehow they forget one thing important: the hunter is the one behind the bows. The weapons themselves can’t guarantee a successful hunt. It must be us who decides our rewards. Shooting from a far distance is risky. Even if the arrows fly fast and forceful thanks to quality bow, you’ll get nothing if you aim for the wrong spot. Arrow’s speed and kinetic energy only count when you do your job correctly. The further you step away from the whitetails, the harder you hit them. Arrows don’t fly straight but go up and down in a curve shape. You’ll find it difficult to calculate the shot and decide where to aim for. The only way you can do it is to practice. You should first practice shooting at 30 yards. When you get a quite amount of accurate shots, step back some 10 yards and repeat the tasks. Keep extending the range to the level that you miss most of your arrows. 60 yards is the recommended second milestone besides the standard range. This is a safe distance. 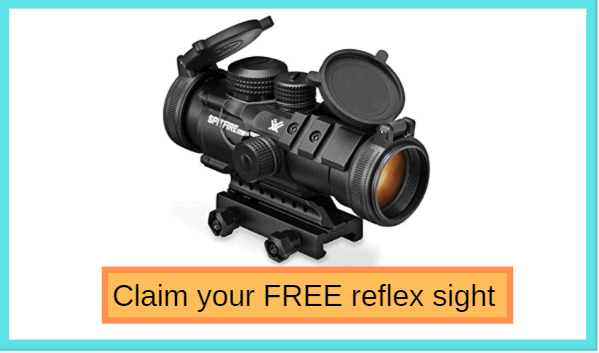 Try many times in this range to have the best shooting experiences. You can even go farther, to the point of 80 or 100 yards away. Modern compound bow offers powerful shots that can get out of your sight. But again, only practice can turn those advantages into a real victory. Every time you hunt, try to stand on the best stances. By practicing, you’ll know how you should stand in particular type of terrains and situations. Having solid foundations, you now can focus entirely on aiming and firing the bow. There some accessories that help extend the effective range of the compound bow. You can use sight pins for taking long shots. They aid you in aiming for the remote target. You can also adjust them according to your results to increase the accuracy. A good grip can also help. It reduces forces that press on your hand when you’re drawing. If you have to shoot multiple times, a better grip prevents hand fatigue and durability loss. Although grip isn’t really an accessory, but it’s customizable when buying a bow. If you want to shoot from afar, aim for a thinner grip. Knowing how far you can shoot is significant. Extending your bow’s effective range is also important. But there is one thing to consider: do you really need to do that in a real hunt? Hunting, to some people, is an epic win. An arrow comes from nowhere, stabs in the heart and immediately kills the powerful deer. It is a legendary win of a hero over a beast. This is an awesome image. But actually, hunting is a more complex and patient work. What defines good hunters is their effectiveness. A real hunter must overcome the temptation of being a hero, gets closer to the safest shooting zone and beats them down with one deadly, accurate shot. Of course practicing long shots is necessary, and extend your effective range is advisable for hunting. But you should only consider them as ways of enhancing your skills. If you can hit the target effectively from a long distance, you will do better at a shorter range. And in a hunt, sometimes you will be in situations that you must shoot from 60 yards away. These times, what you practice will come in handy. So, shooting from very long range isn’t recommended in a hunt. But it’s the best way to develop hunter’s skills. This ability depends on the quality of the compound bows and the archer’s competence. Practicing is the best method to extend your effective range.